A unique low tech device which can be used anywhere, even in the bath! 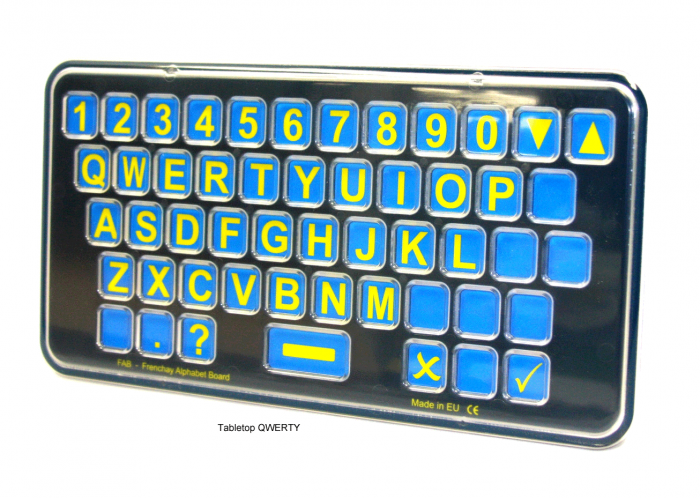 The range of FAB, finger alphabet board were developed from experience at Frenchay Hospital in the UK. 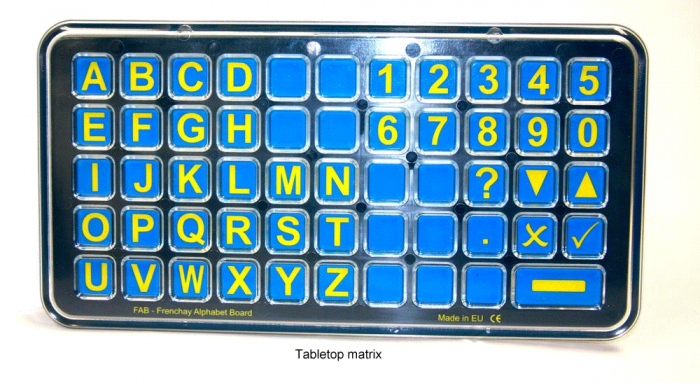 Key guarded, static alphabet boards have been used for many years to support patients throughout the hospital or as a secondary aid to high tech devices. 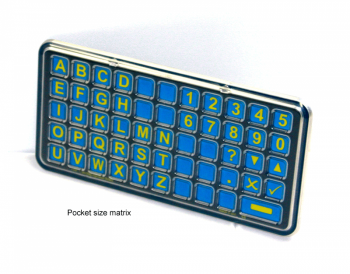 Now it is available with E coli and MRSA resistance built in. 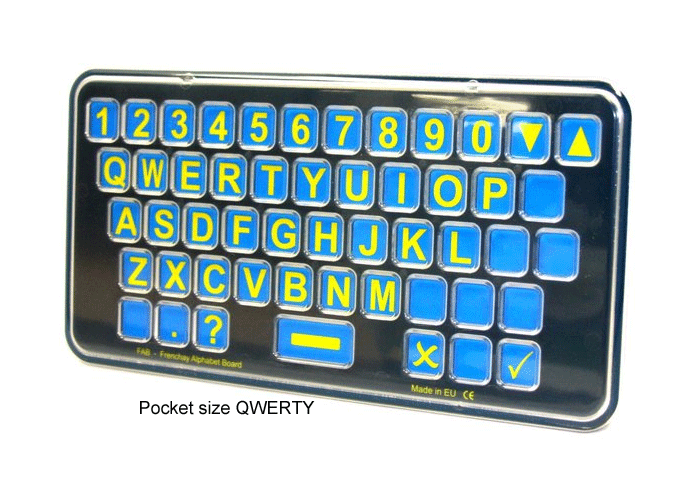 Choose between 4 FAB keyboards: pocket sized or tabletop with QWERTY or MATRIX layouts.